Home / Blog > How do fingerprint scanners work? Gone are those days when fingerprint scanners were reserved to high-end security facilities and government organizations. Today, even a mid-range mobile phone comes loaded with a fingerprint scanner. These fingerprint sensors are the most widely used application of biometrics. Given their popularity, it makes complete sense to dig in further and try and learn more about them. I’m pretty sure that most of you don’t know about the 3 widely used fingerprint scanners. Well, quite a few fingerprint technologies have been developed but most of them failed to witness their widespread implementation. Keeping it in mind, let’s know more about them and learn what the major differences are. 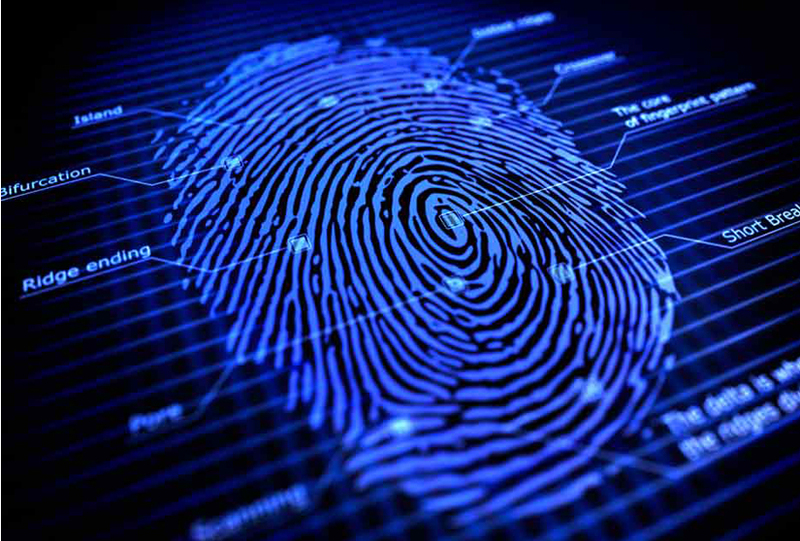 These are the oldest known method of capturing, identifying and storing fingerprints. This technique relies on capturing an optical image (mostly through clicking a photograph) and using various algorithms to identify unique patterns on the skin’s surface. Optical scanners use LEDs to illuminate the finger pressed against the glass plate. This light, when reflected on the Charged Couple Device (CCD) generates signals which are ultimately processed to create a finger’s digital impression. This imprint is what we call a live scan. A major handicap with optical fingerprint sensors is that they can be easily manipulated. The 2-dimensional imprints can be fooled using prosthetics, or even good, high-resolution pictures. And thus, it is being phased out today and can only be found in inexpensive hardware. This is the most commonly used fingerprint scanner and can be found implemented in various flagship devices. The capacitor, just like its name suggests is the core component in these types of scanners. Unlike optical sensors, capacitive fingerprint scanners do not create a traditional fingerprint image. Various semiconductor chips are embedded into such scanners. These chips comprise of cells made up of capacitors. Such scanners use multiple capacitor circuits to data about a fingerprint. Once such data is collected, it’s thoroughly analyzed for any distinctive attribute, which is then saved for comparison. A good thing about these kinds of fingerprint scanners is that they are not easy to fool. However, they are prone to software/hardware hacking and manipulation. Ultrasonic scanners, in an attempt to capture fingerprint details, use an ultrasonic transmitter and a receiver. Whenever a finger is pressed against the sensor, an ultrasonic pulse is generated. While a part of it is absorbed, most of it bounces back to the sensor. The waves are then utilized to recreate a digital imprint of the fingerprint. Fingerprint recognition is an integral component of biometric identification, but not its only one. In our subsequent blog posts, we’d throw some light on other identification technologies such as iris recognition, vein recognition, etc. Until then, keep following Starlink Communications, India’s leading biometric manufacturer.